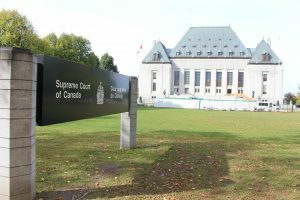 In a decision that has surprised many lawyers, the Supreme Court of Canada has denied 17 applications (comprising 23 groups, as a number of groups filed jointly) intervener status in the landmark case of Trinity Western University (TWU) School of Law. Canadian Council of Christian Charities was among the applications denied. The TWU Law School Case has gained national and international attention, as it involves equality rights between religion and sexuality, as well as religious freedom, not to mention administrative law matters. TWU requires its students to sign a Community Covenant Agreement that expects the students to keep the university’s code of conduct, which includes the requirement that they engage in sexual activity only when it is confined to a marriage between one man and one woman. This was deemed discriminatory against the LGBT community by the law societies in Nova Scotia, Ontario and British Columbia. 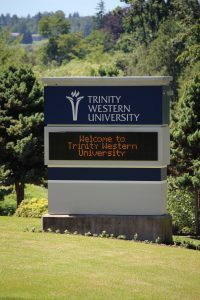 TWU won its litigation against two law societies (in Nova Scotia and British Columbia and in both cases winning with a 5-0 margin) but lost in Ontario (3-0). The appeals from the decisions of the British Columbia and Ontario Courts of Appeal are now before the Supreme Court of Canada. The Nova Scotia Barristers’ Society did not appeal its loss at the Nova Scotia Court of Appeal. Canada’s highest court will hear both the BC and Ontario appeals on November 30, 2017. With only one day set for the hearing, the Court did not have the time to hear all 32 groups (26 applications). The Court would want to make sure that there were no overlapping arguments from multiple groups, and that both sides have equal opportunity to have their respective issues heard. Perhaps the court saw no need to hear the arguments of some groups. In the end, the Court granted intervener status to only 9 groups. 7 of the groups were related to the legal profession in some capacity, such as the Christian Legal Fellowship and the Canadian Bar Association. 2 of the 9, the Association for Reformed Political Action (ARPA) and the National Coalition of Catholic School Trustees, were not associated with the legal profession. ARPA will be addressing its arguments on the relationship between the equality rights (s.15 of the Charter) and religious freedom rights (s.2(a) of the Charter). None of the various LGBT groups that applied were granted intervener status at the Court. The Court may have concluded that the two law societies are adequately advancing the LGBT groups’ arguments. Indeed, it was the opposition from the LGBT advocates that successfully persuaded the three law societies to reject the approval of TWU by the Federation of Law Societies Canada. All three accepted the LGBT arguments that TWU’s admissions policy was discriminatory and, though TWU would provide competent legal education to its students, that policy was sufficient reason to deny TWU Law School accreditation. Evangelical Fellowship of Canada, the Seventh-day Adventist Church in Canada, Canadian Council of Christian Charities, the Canadian Conference of Catholic Bishops and the Roman Catholic Archdiocese of Vancouver are among the religious communities that were denied intervener status. Given the positions of TWU, and the religious interveners in the lower courts, perhaps the Supreme Court was of the view that there is enough on the record for the judges to mull through, and that the various arguments and counter-arguments were enough for justice to be served in this matter. Nevertheless, while this case had the most (or close to it) intervention applications in the history of the Supreme Court of Canada, to grant only 9 out of 26 applications (comprising 23 groups) is significant. It will keep the legal profession talking about this for years to come. The hearing on November 30, 2017 will be fascinating to watch. Stay tuned.